Physicists from the T2K neutrino collaboration announced today that they have detected the first events generated by the neutrino beam at the J-PARC accelerator laboratory in Tokai, Japan. This detection marks the beginning of the operational phase of the T2K experiment, a ~500 physicist, 12-nation collaboration to measure new properties of the ghostly neutrino. A team of physicists in the Department has performed the first direct measurement of the mass difference between a quark and its antimatter partner (antiquark). Quarks are the fundamental particles that make up protons and neutrons, the stuff that regular matter is made of. Before antimatter was discovered, Paul Dirac introduced it as a requirement of the laws of quantum mechanics and Einstein's relativity. Scientists have been producing and studying antimatter such as antiprotons, antineutrons and antielectrons (or positrons) for many decades. All antimatter particles are supposed to have the same masses and lifetimes as their matter partners, but with opposite electric charges. Indeed, the masses and lifetimes of antimatter particles have been measured and found to be identical to their normal matter counterparts. Even more complicated objects such as pions, kaons, light nuclei, and hydrogen atoms appear to agree with this matter and antimatter "symmetry." 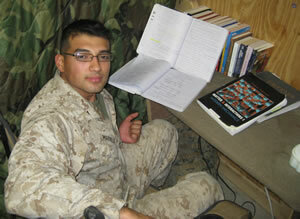 United States Marine Gustavo Maravilla-Hernandez is serving in Iraq while taking Physics 141 and Math 171Q. You might wonder how he does it: being a Marine and taking some of the most challenging courses offered by the University of Rochester. Riccardo Betti, senior scientist in laser energetics, professor of mechanical engineering and physics and astronomy at the University of Rochester and director of the Fusion Science Center for Extreme States of Matter, has won the Edward Teller Medal for his research into laser-driven fusion at the University's Laboratory for Laser Energetics. The award is named after Edward Teller, the co-founder of the Lawrence Livermore National Laboratory and one of the key designers of the hydrogen bomb. Only two honorees are chosen to receive the award every other year. Betti was presented with a silver medal and $2,000 on Sept. 10 at the International Conference on Inertial Fusion Sciences and Applications in San Francisco, Calif.
A member of the Class of 2011, Jamie M. Dougherty has received a one-year Jane and Frank Warchol Scholarship from the Society of Vacuum Coaters (SVC). 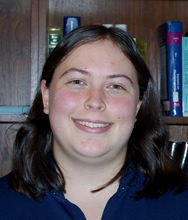 Since Fall 2008, Jamie has been doing research for The Optics MANufacturing Group (OMAN) in the Laboratory for Laser Energetics, under the supervision of Senior Manufacturing Engineer Nelson LeBarron and Senior Laboratory Engineer Pete Kupkinski. 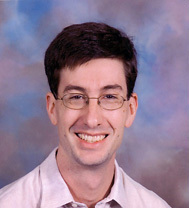 The Department of Physics congratulates Gregory S. Bentsen, the 2009 recipient of the Physics Honors Prize, which is awarded annually to the top-performing undergraduate in the freshman/sophomore Honors Physics sequence. 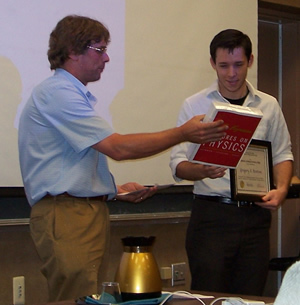 In consultation with the Chair of Undergraduate Awards Committee, Gregory's instructors in PHY 141, 142, 143, and 237 selected him for the honor, which includes a copy of The Feynman Lectures in Physics volumes, a paid membership in the AAPT, and a subscription to Physics Today. 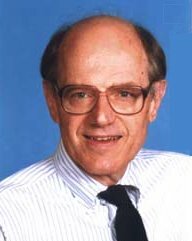 In a recent Physical Review Letters paper, Wilson Professor of Optical Physics and Theoretical Physics Emil Wolf introduces a technique that overcomes the long-standing difficulties relating to measuring phases of diffracted x-ray beams in structure determination of crystals. The current methods incorrectly assume that x-rays are monochromatic, and as Wolf points out in a recent physicsworld.com article, this type of beam is not found in nature and cannot be created in the lab. He proposes that physicists use spatially coherent x-rays that can be produced in the lab and that they measure beam correlation functions to obtain missing structural data. 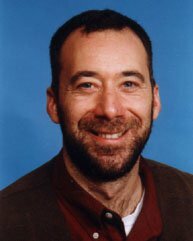 Adam Frank, Professor of Astrophysics at the University of Rochester, is a computational scientist whose research group develops state of the art supercomputer codes to study star formation and stellar death. 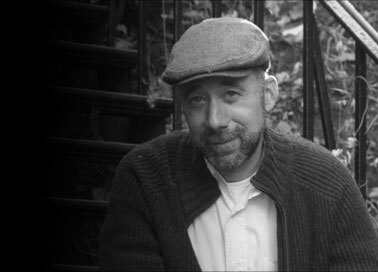 He is also a popular science writer who has written numerous articles for national magazines as well as a recent book on Science and Religion. 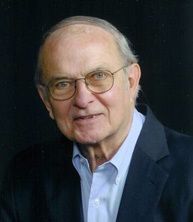 Now one of Frank's magazine articles has garnered the national honor of being included in "The Best American Science and Nature Writing 2009" published by Houghton Mifflin. Each year the "Best of" editors read hundreds of articles on science and nature from sources ranging from the New Yorker to Natural History. Of those articles only a handful are selected for the book. At its graduation ceremony on May 16, SUNY Geneseo awarded an honorary Doctor of Science degree to Esther Conwell, University of Rochester Professor of Physics and Chemistry. Conwell is best known for her research in semiconductor physics and transistor design, efforts that propelled her to the forefront of the birth of the computer revolution. The NASA Spitzer Space Telescope's cryogenic mission is over. At approximately 2:30 PM EDT on Friday, 15 May 2009, precisely as expected, the last of the facility's liquid-helium coolant evaporated. The telescope and instruments began quickly to warm up from the temperature, 1.5 degrees above absolute zero, at which they have been kept for the 5.7-year duration of the mission. The temperature is expected to level off at about 30 degrees above absolute zero, at which the observatory's Infrared Spectrograph and Multiband Imaging Photometer, and half of the detector arrays in the Infrared Array Camera, can no longer function. 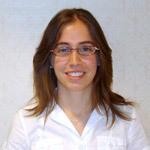 Amy Wakim, now a fourth-year graduate student in Professor Bigelow's lab, won the honor of attending the 58th Meeting of Nobel Laureates at Lindau, Germany in June of 2008. Nominated by the University, Amy was selected by the Oak Ridge Associated Universities (ORAU) from a large pool of applicants sponsored by the Department of Energy, the National Science Foundation, Mars, Inc., and ORAU. The Department of Physics and Astronomy has been awarded a grant to renew its successful Research Experience for Undergraduate (REU) program for another three years (2009-2012). The grant totals $434,468 and is the sixth award since the program was initiated in 1994. It is co-funded by the Physics and Astronomy Divisions of the National Science Foundation and the ASSURE program of the Department of Defense. 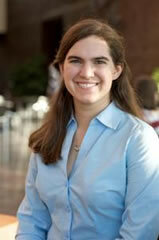 The Department's REU program is under the direction of Professor Arie Bodek and Project Administrator Ms. Connie Jones. 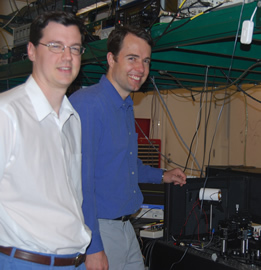 Assistant Professor Andrew Jordan and Associate Professor John Howell teamed up this past year with collaborators to make three strong advances related to weak value measurements and slow light. First, they discovered that gravity can push slow light down by about 1 Angstrom in the lab. 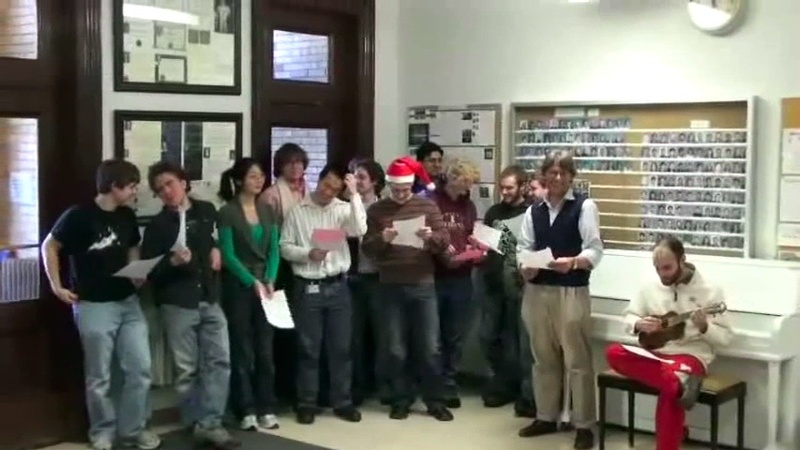 Second, they demonstrated an optical pi cross-phase modulation jump. And third, they were able to measure extremely small (560-femtoradian) shifts of an optical beam. 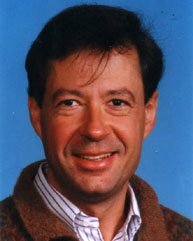 Much of this work merged Jordan's theoretical research with weak value measurements and Howell's experimental research with slow light and optical systems. 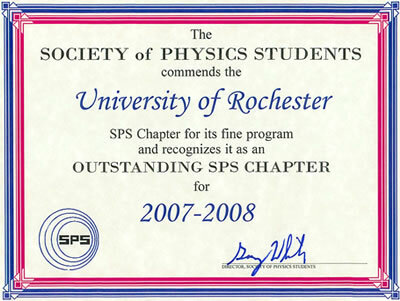 April 4, 2009 marked the day of the twenty-eighth Annual Rochester Symposium for Undergraduate Physics Students (RSPS), held this year at the U.S. Military Academy at West Point. Overall, sixty undergraduates from eight colleges and universities participated by either attending or speaking about their research. 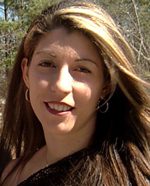 Alumnus Florencia Canelli (PhD, 2003) has received a Sloan Research Fellowship for 2009. The Sloan two-year fellowships are awarded annually to 118 researchers based on their performance and "potential to make substantial contributions" to their fields. Thirty-eight Sloan Fellows have gone on to win Nobel Prizes. 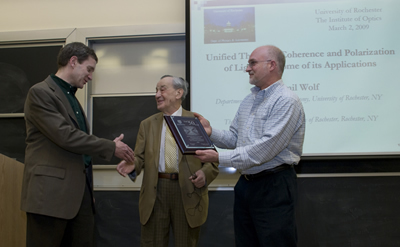 Wilson Professor of Optical Physics and Theoretical Physics Emil Wolf stood before a packed Sloan Auditorium on March 2nd. He greeted the audience of approximately 175 people and the lights dimmed. 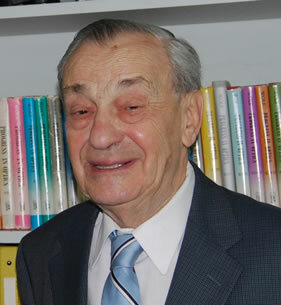 The first slide of his presentation, Unified Theory of Coherence and Polarization of Light and Some of Its Applications, appeared on the drop-down screen. First Laboratory Experiment to Accurately Model Stellar Jets Explains Mysterious "Knots"
Some of the most breathtaking objects in the cosmos are the jets of matter streaming out of stars, but astrophysicists have long been at a loss to explain how these jets achieve their varied shapes. Now, laboratory research detailed in the current issue of Astrophysical Journal Letters shows how magnetic forces shape these stellar jets.